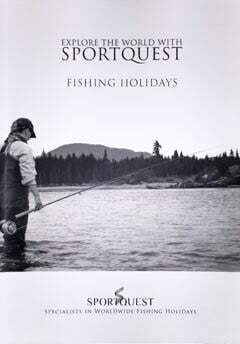 Sportquest Holidays is proud to be different and still the one and ONLY specialist tour operator to offer you complete fishing holidays & shooting holiday packages from around the world, detailing exactly what are both included and excluded. Plus all our destinations are shown and charged in UK Sterling. We even take care of all flight arrangements, as we are a fully ATOL bonded company. Unlike our competitors who only act as an agent for lodges advertising their prices in foreign currencies and taking a commission, leaving all the other arrangements up to you. No one makes it easier than Sportquest to plan, book and experience that holiday of a lifetime. We are a team of dedicated professionals with over 30 years of travel experience who offer full tour packages to some of the best locations in the world for fly fishing, sea fishing, big game fishing and shooting holidays. Over the past few years we have grown into one of the largest dedicated holiday companies in the UK, with customers choosing to travel from all over the world to our extensive list of destinations. A testament to our success is an amazing returning-customer ratio of over 85%. If you find the same package holiday quoted cheaper elsewhere we will then endeavour to beat it – after all we believe booking a holiday should be as stress-free as the holiday itself! All our destinations are meticulously researched and our dedicated team of experts are here to help you tailor your sporting adventure to your specific needs. Financial security is very important when making travel arrangements by booking all of your travel components with us (an ATOL licenced company), you’re entitled to greater financial protection than by booking via several separate operators. Our comprehensive literature and website clearly shows everything that is included, removing those hidden extras that others employ to keep initial advertised prices low. You decide exactly what you need from our comprehensive range of services; covering the fishing, shooting, guides, flights, accommodation, travel insurance, car hire and any non fishing excursions; allowing us to provide you with the complete flexible one stop adventure. We are the only fishing & shooting tour operator to run a live real customer feedback system. Below live is how we currently score with all our customers feedback combined. See how our customer feedback works and our latest customer reviews. Easy search, just type what you are looking for, very quick and easy. Hosted holidays ideal for people looking to share. Special offers, we have all the latest offers from all suppliers around the world. The most comprehensive website for all fishing and shooting travel. Suitable across all devices. Newsletters, receive our weekly newsletters so you never miss anything. Sign up to our weekly newsletters direct to your inbox. 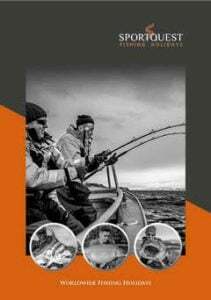 Covers freshwater, sea fishing & big game fishing destinations. Covers both freshwater fly fishing, saltwater fly & big game fishing destinations. Request your own FREE personal copy of our brochure.